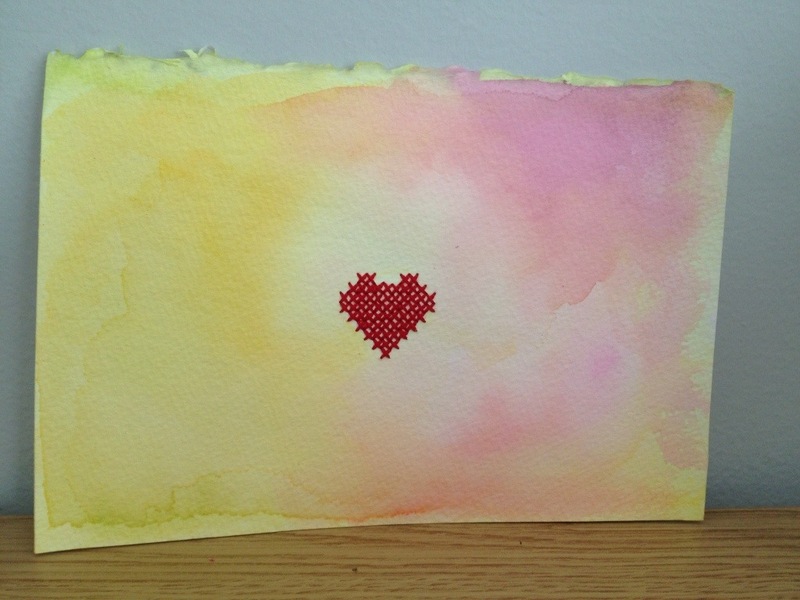 So my obsession with cross stitching on different surfaces continues, this time with watercolor paper. I got the idea from the amazing Olisa Corcoran, who was actually the one who wrote the Mr. X Stitch post that featured my periodic table cross stitch. She has done some incredible embroideries on brightly saturated watercolor paintings and she inspired me to try some cross stitching. I was just working with some of Evie’s Crayola watercolors and didn’t get the same vibrancy as Olisa’s pieces, but I think it turned out cute. 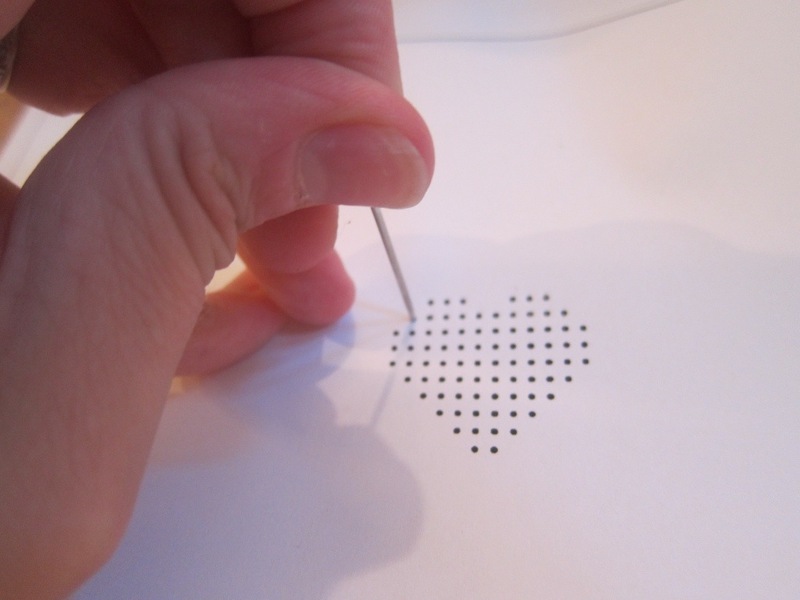 The paper is a lot easier to punch holes in than the cardboard box. It was a fun, quick little project and I definitely want to explore it more. 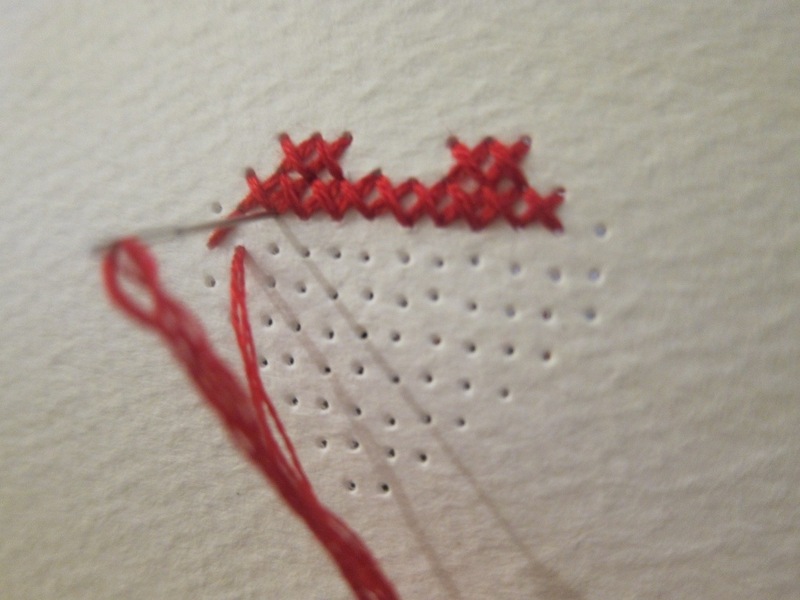 I think it would be fun to make a series of cards that are cross stitched. There’s a lot of great possibilities.